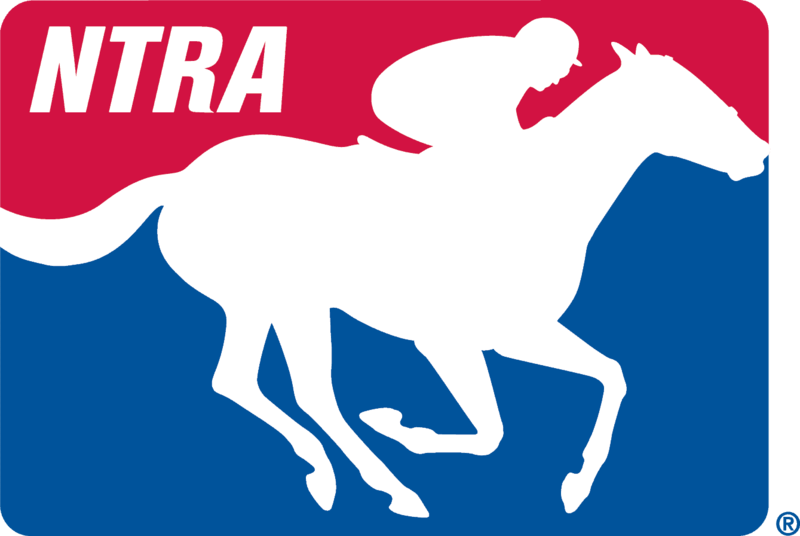 LEXINGTON, Ky. (April 5, 2019) – Each week, the NTRA will provide a guide to the best stakes races in North America and beyond. Races are listed in chronological order (all times Eastern). Full previews when available can be found through the link for each race. This weekend features a massive slate of graded stakes racing across the nation including a trio of major Kentucky Derby preps in the Grade 1 Santa Anita Derby and Grade 2 Wood Memorial and Blue Grass Stakes. NBC Sports continues its extensive coverage of Derby prep races this Saturday at 5:30 p.m. ET with live coverage of the Wood Memorial, Blue Grass Stakes and Santa Anita Derby on NBCSN. Live coverage begins with the Wood Memorial and coverage will be streamed live on NBCSports.com and the NBC Sports app. Horse Racing Radio Network (HRRN) will broadcast live from Keeneland from 5:30-7:30 p.m. with coverage of the Blue Grass Stakes, Wood Memorial and Santa Anita Derby. Coverage can be heard on Sirius 219 /XM 201 with live streaming accessible on computers, tablets and mobile devices on the HRRN website, www.horseracingradio.net. Red Oak Stable and Madaket Stables’ Grade 1-winner Mind Control will abandon the Kentucky Derby trail to make his third one-mile start in succession in the seven-furlong Bay Shore, one of five graded stakes on a day at Aqueduct. Mind Control finished second last out in the Grade 3 Gotham on March 9, while showing a new dimension when battling from off-the-pace. Churchill Downs Racing Club’s Warrior’s Club and Katherine Ball’s Limousine Liberal finished a neck apart in last year’s Commonwealth Stakes and the two will meet up again Saturday as part of a 14-horse field going seven furlongs on the main track. A pair of tremendously talented fillies, owner Kaleem Shah’s Bellafina and Summer Wind Equine’s Chasing Yesterday, will face each other for the first time as they head a field in the Santa Anita Oaks. Fresh of a gutty win in the Grade 2 Las Virgenes Stakes, Bellafina seeks her third Grade 1 victory for trainer Simon Callaghan. Chasing Yesterday, a half-sister to 2015 Triple Crown winner American Pharoah, comes off a facile win as the heavy favorite in the Sunland Park Oaks on March 24. A well-rested Discreet Lover will make his first start since running eighth in the Breeders’ Cup Classic when he bids to repeat as the winner in Saturday’s 107th running of the Excelsior for 4-year-olds and up. Discreet Lover received a five-month freshening after the Breeders’ Cup on November 3 at Churchill Downs. Owner and trainer Uriah St. Lewis said the now 6-year-old son of Repent will look to duplicate his success in the Excelsior, which he captured by rallying from seventh for a 2 ½-length score last year. Defending champion Bound for Nowhere heads a field of 13 going 5 ½ furlongs on the turf. Perfect in two starts at the Shakertown distance at Keeneland, Bound for Nowhere also won the lucrative Tourist Mile at Kentucky Downs. Saturday’s race will mark his 2019 debut. A talented six-horse field will square off in the final local opportunity to earn qualifying points for the Kentucky Oaks in the 124th running of the Gazelle for sophomore fillies. Trainer Todd Pletcher will have two chances in this year’s event with Always Shopping and Off Topic. Always Shopping broke her maiden against stakes company last out in Aqueduct’s Busanda Stakes on February 3 when stretched out to nine furlongs for the first time. Trainer Jerry Hollendorfer’s Vasilika, a winner of 12 out of her last 14 starts, heads a field of seven older fillies and mares in Saturday’s Royal Heroine Stakes. The Richard Baltas-trained Ms Bad Behavior, who has been third and second to Vasilika in her last two outings, would appear to be the second choice in the race with Mike Smith set to ride her back. Conrad Farms’ Shamrock Rose, the champion female sprinter of 2018, tops a field of nine going seven furlongs on the main track. Trained by Mark Casse, Shamrock Rose won the Grade 2 Raven Run Stakes at Keeneland last fall before earning divisional honors with a victory in the Breeders’ Cup Filly and Mare Sprint at Churchill Downs in November. Repole Stable and St. Elias Stable’s Vino Rosso will return to graded stakes company after posting a three-quarter length score in the one-mile Stymie on March 9 at Aqueduct. The 2018 Wood Memorial winner will be making his first Grade 1 start since running fifth in the Travers Stakes on August 25, following a third-place in the Grade 2 Jim Dandy, fourth in the Belmont Stakes and ninth in the Kentucky Derby. D.J. Stable and Cash is King’s Jaywalk, the champion 2-year-old filly of 2018, was installed as the 8-5 favorite in a field of eight 3-year-old fillies. Trained by John Servis, Jaywalk closed her 2018 campaign with daylight victories in the Grade 1 Frizette Stakes and Breeders’ Cup Juvenile Fillies at Churchill Downs to earn the Eclipse Award. In her 2019 debut, she finished fourth in the Grade 2 Davona Dale Stakes at Gulfstream Park. The triumvirate of graded stakes winners Tax, Tacitus and Haikal top a wide-open Wood Memorial. Tax arrives at Saturday’s test from a determined head score on February 9 over Not That Brady in the Grade 3 Withers Stakes. Juddmonte Farms homebred Tacitus, out of the champion mare Close Hatches, made a successful seasonal debut in the Grade 2 Tampa Bay Derby he defeated fellow Wood entrant Outshine. Haikal arrives at his stamina test from a closing length score in the Grade 3 Gotham Stakes. Gatsas Stable and R.A. Hill Stable’s Vekoma has been installed as the 9-5 morning-line favorite in a field of 14 entered. Trained by George Weaver, Vekoma has won two of three starts and finished third in the Grade 2 Fountain of Youth in his 2019 debut. Second choice on the morning line at 7-2 is Live Oak Plantation’s Win Win Win, who enters off a third-place finish in the Grade 2 Tampa Bay Derby. A winner of a record eight Santa Anita Derbies, including last year’s running with eventual Triple Crown winner and Horse of the Year Justify, Bob Baffert again appears to be on racing’s pole position as he sends out likely favorite Game Winner and top contender Roadster among a field of six sophomores in the Santa Anita Derby at 1 1/8-miles. Jerry Hollendorfer’s Instagrand and John Sadler’s Nolo Contesto each merit considerable respect as well. Separated by one length when last they met, Irish-bred Lady Prancealot and Truffalino, along with classy California-bred Apache Princess, head a field of 10 3-year-old fillies going a mile and one eighth on turf in Saturday’s Providencia Stakes. Two of the top older horses on the West Coast, John Sadler’s Gift Box and Bob Baffert’s McKinzie, head a field of six 4-year-old and up in the Santa Anita Handicap this Saturday. Idle since winning the Grade 2 San Antonio Stakes on December 26, Gift Box appears to be at the top of his game and although he was well beaten in his only other try at 1 ¼ miles at age three, give every indication he should relish the distance at this stage of his career. Beaten a half length by 2017 Breeders’ Cup Dirt Mile winner Battle of Midway in the Grade 2 San Pasqual Stakes over a sloppy track on February 2, McKinzie has trained extremely well for the Big ‘Cap, which will also be his second try at 10 furlongs. Three-time graded stakes-placed Mother Mother headlines a field of eight 3-year-old fillies entered for Sunday’s $150,000 Beaumont Stakes, run over the Beard Course of 7 furlongs, 184 feet. Trained by Bob Baffert, Mother Mother has spent the winter chasing Bellafina at Santa Anita. Mother Mother was second to that rival in the Grade 2 Santa Ynez and in her most recent start fourth in the Grade 2 Las Virgenes Stakes on February 9. Paul Pompa Jr.’s Regal Glory, runner-up in the Grade 3 Sweetest Chant Stakes at Gulfstream Park this winter, heads a field of 11 3-year-old fillies entered for the Appalachian Stakes going a mile on the turf. Regal Glory is trained by Chad Brown, who has won this race three times this decade with Dayatthespa (2012), Lady Eli (2015) and last year with Rushing Fall. Jose Ortiz, who has been aboard all three times Regal Glory has run, will have the mount Sunday. Bob Baffert-trained Dream Tree, who tasted defeat while heavily favored in the opening day Grade 1 La Brea Stakes, will be out to make amends as she heads an ultra-talented group of 10 older fillies and mares going six furlongs in Sunday’s Las Flores Stakes. Trainer Gary Sherlock’s hard-knocking Show It N Moe It will be making her 20th career start and her first graded stakes swing on Sunday. Dream Tree’s stablemate, Emboldened, who was a close third in the La Brea going seven furlongs, will hope to run back to that race with Joe Talamo back aboard.